IPhone Apps are the best way to reach out to local and national iPhone users for the business. Mobile phones are today the most visible platform for any advertising. iPhone/iPaid App developers are providing custom iPhone Apps development to businesses to reach out to maximum customers who might be targeted Dev Technosys for their business products. If you have any product which you can promote a better way with the help of mobile Apps then you need to contact local Mobile app development companies which are experts in mobile App development. 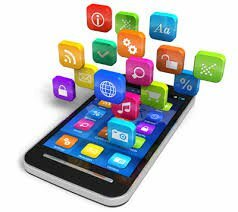 Dev Technosys is a best Mobile Apps development company which has many iphone/iPaid Apps and mobile games apps. We work best new technology to prepare the Applications which are extremely user friendly and affordable priced. We offer 50% free discount in SEO service with Mobile app development, Web design, Web development services.